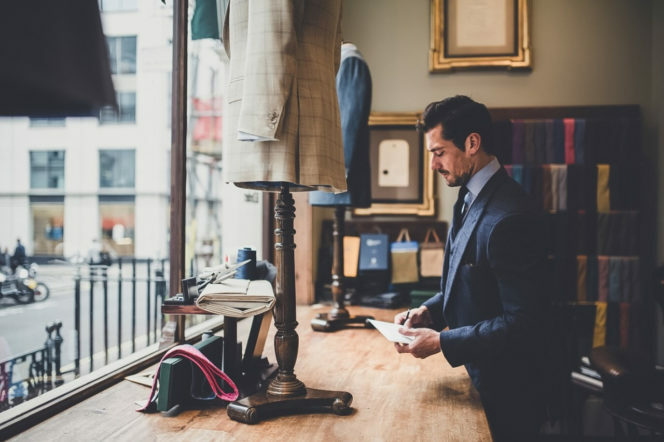 From the master tailors of Savile Row, to the glossy windows of Jermyn Street, London has long been favoured as the ultimate destination for gentleman’s bespoke shirting and suits. 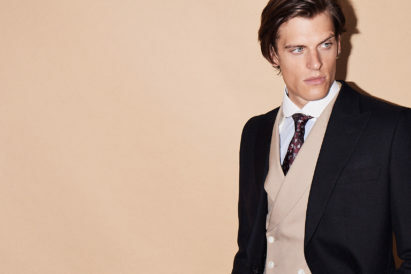 Dressing the world’s most sophisticated men since 1906, Anderson & Sheppard are one of the most well-known Savile Row institutions, famed for their craftsmanship and trademark focus on easy movement and natural body lines. Step into their mahogany living room, furnished with green leather chairs, wooden floors and an open fire, and leave with a bespoke suit worthy of royalty. 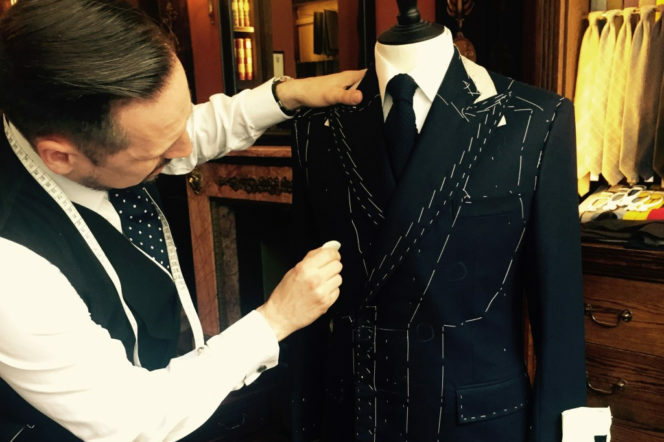 Since setting up shop in 1992 as the first of the ‘new establishment’ tailors on Savile Row, Richard James have rapidly built up a name for themselves. Renowned for their commitment to excellence, they offer a bespoke service, providing clients an in-depth service with multiple consultations. 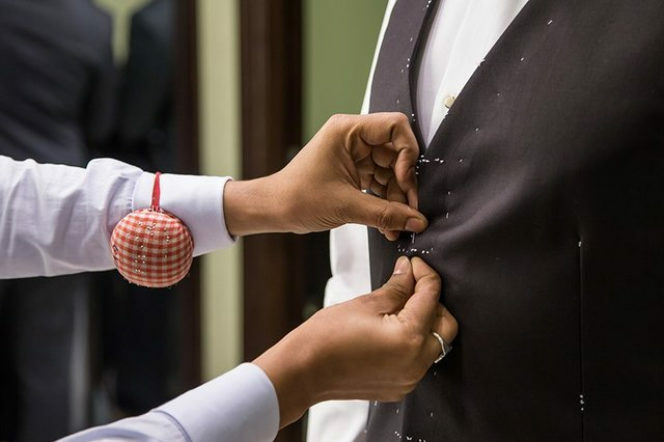 Their made-to-measure service also allows a quicker tailoring experience without having to scrimp on the quality. Alongside Tommy Nutter in their Savile Row establishment, Nutters, Edward Sexton revolutionised Savile Row in the 1960s and 70s, adopting the ‘open window’ approach that has allowed us to linger longingly outside London’s most famous bespoke tailoring shops ever since. His list of clients is seriously impressive, having dressed the likes of Mick Jagger, Andy Warhol and John Lennon, to name but a few. Established in 1849, Huntsman’s initial claim to fame came through a rather niche tailoring service: making equestrian wear for the hunting and riding aristocracy in 19th-century Europe. They’ve remained a thoroughly British brand ever since, going on to tailor the wardrobes of legends including one of our all-time favourite gentlemen, Gregory Peck. 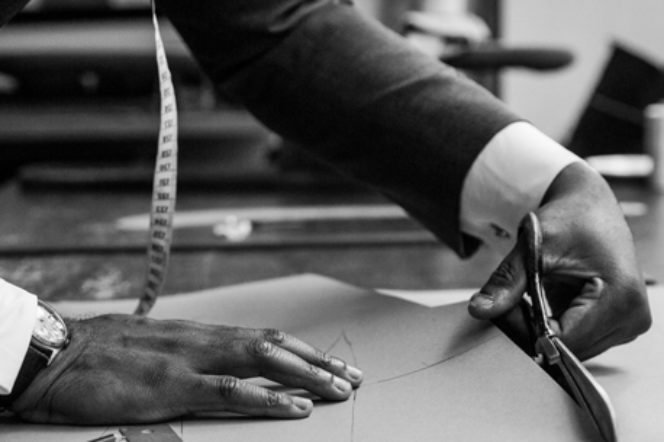 With an attention to detail that has seen them through over 200 years of tailoring, Henry Poole take pride in the fact that each and every piece of clothing is made individually by their tailors on their Savile Row premises. Their crest reads ‘By Special Appointment to the Late Emperor Napoleon III’ – and, if they’re good enough for an emperor, you know they’re good enough for you. 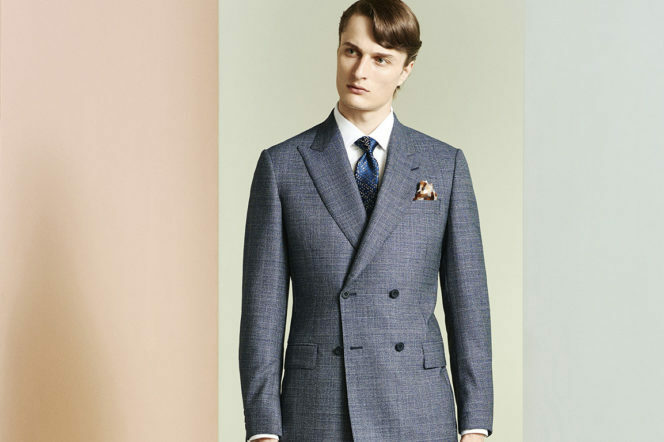 The founder of the Hardy Amies brand, Sir Edwin Hardy Amies, actually got his start in womenswear, but soon started making waves in men’s tailoring as well after opening his Savile Row store in 1945. 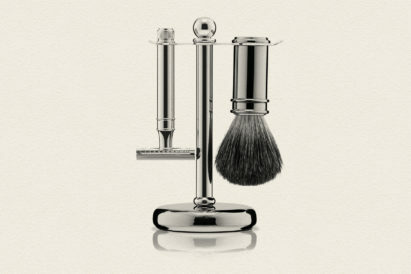 The team today puts an emphasis on the gentlemanly look with a twist, with an exceptional focus on fit, often requiring several fittings and up to 20 measurements. 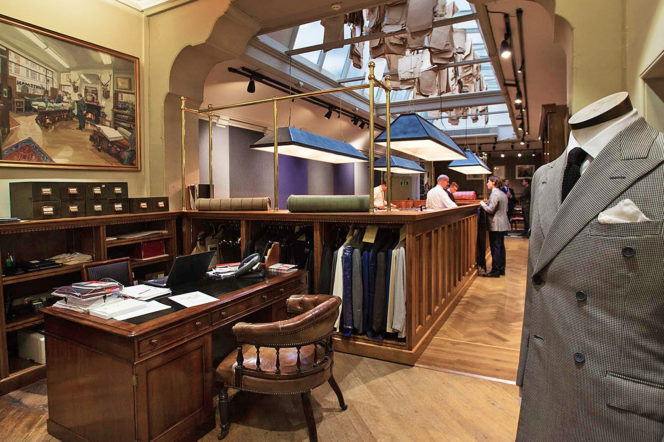 A Savile Row institution since 1880, Kilgour have long established themselves as tailors who embrace change, counting names like Cary Grant, Fred Astaire, Jude Law and Daniel Craig as their clients. They tailor suits that lean in an almost art-deco direction, with an emphasis on shoulders. 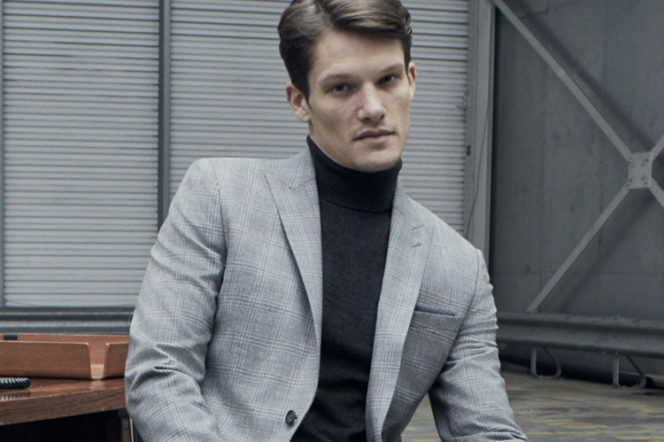 It’s said that the classic grey flannel suit was the brainchild of this place. 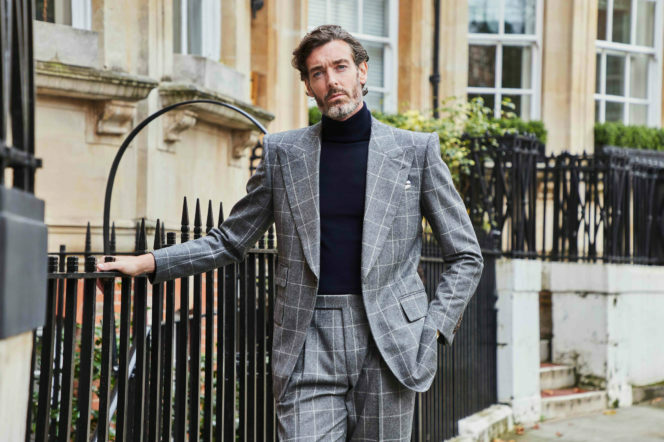 With two other stores in Finsbury and Barbican, you won’t have to go far to find a great suit that fits you perfectly – in fact, their at-home services mean you don’t even have to leave your home to be dressed to kill. The fine materials are what make these tailors so beloved, with the cloth they use exclusively sourced from the old English mills in Huddersfield, Yorkshire. Established in 1865, these Royal Warrant Holders are still family-owned, and cut all their bespoke clothes uniforms and shirts by hand on Savile Row. 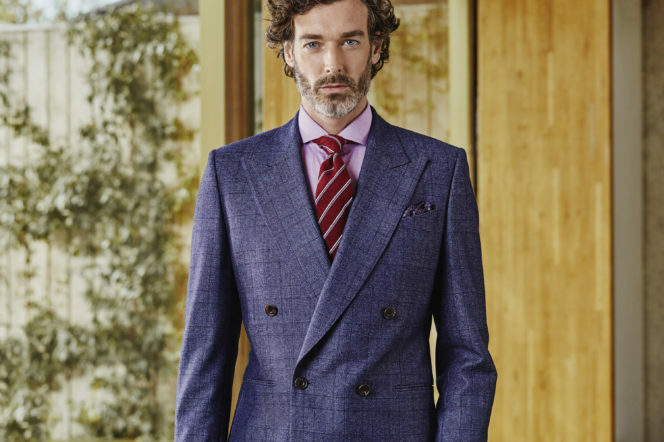 In 2016, the tailors made the decision to introduce a selection of ready-to-wear suits and blazers – imbuing off the peg garments with the care and quality of their bespoke selection. 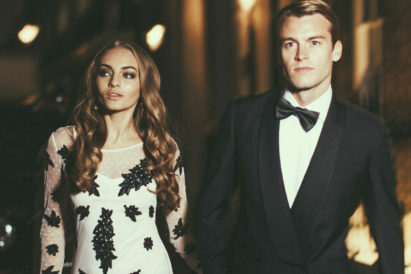 Favoured by gentlemen who know that they need to look their best when it matters most, Chester Barrie is often seen on the red carpet, most notably during Awards Season, and is also the suit of choice for many British sportsmen. 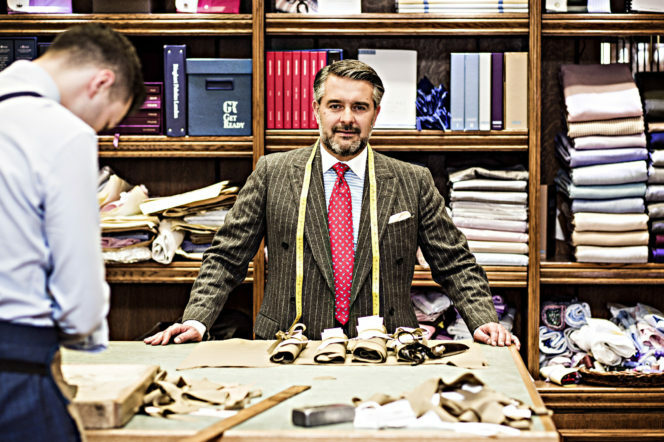 Sitting pretty on Savile Row, Barrie rubs meticulously-tailored shoulders with other sartorial high-fliers of the street – and unequivocally holds its own.